Is my UET tag working? The UET tags page has all the information you need to see if your UET tag is working correctly. Learn what each column is and why it's important. The UET tags page has all the information you need to see if your UET tag is working correctly. If you want to validate the UET tag right in the Chrome browser, you can use the UET Tag Helper Chrome Extension. To learn how to install and use the UET Tag Helper, see Find out if my tag is working with UET Tag Helper. The UET tag page shows the status, associations, and tracking code. In the table, review the columns. 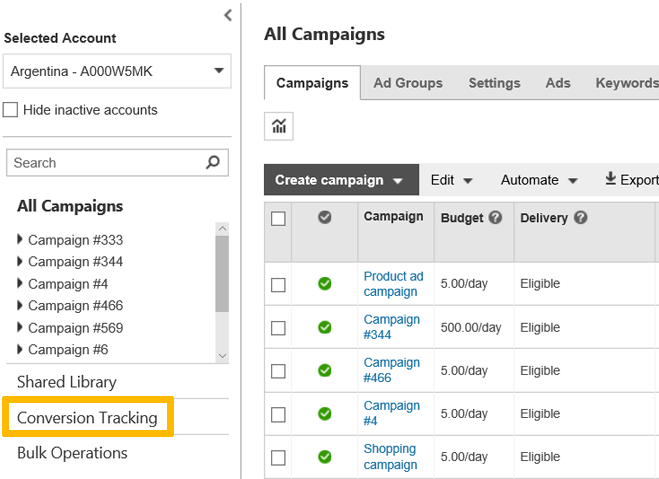 If the Tracking status column lists Tag inactive, then Bing Ads has not received any user activity data from the UET tag in the last 24 hours. 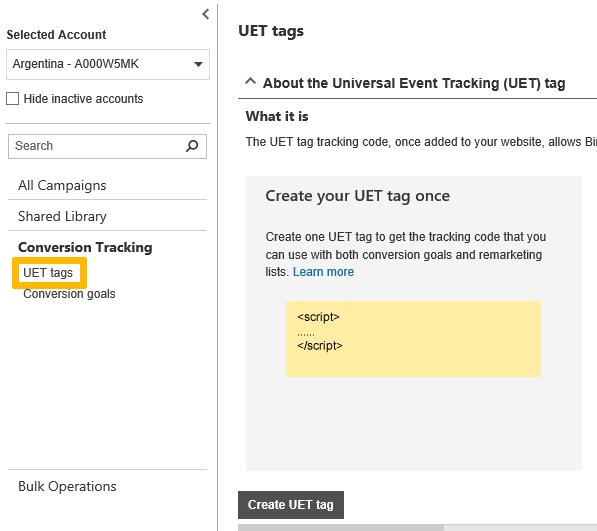 Make sure that the UET tag tracking code is still on your website. To add the UET tag tracking code, see How do I add a UET tag to my website?